Gastroesophageal reflux (GER) or acid reflux indigestion is caused by the failure of the lower esophageal sphincter (LES) to seal the passageway of the stomach. Hence, stomach contents containing regurgitated food and acids leak out into the esophagus. If a leakage happens, the effects can reach up to the chest and mouth area resulting to a painful sensation in the chest called heartburn or indigestion. Alternative treatments involve the use of herbal remedies, surgery, lifestyle change, and reinvention of diet. If the reflux becomes recurring for more than two times in a particular week, this indicates a more serious medical condition commonly known as gastroesophageal reflux disease (GERD). Therefore, it is quite important that persistent cases of acid reflux should be brought immediately to the attention of a physician, to avoid further complications of the disorder. Prescription drugs – In one of the recent studies made, majority of acid reflux cases are caused by an organism called helicobacter pylori. Previous drugs prescribed arrested only the symptoms of the disorder but not the problem. Thanks for the update made by medical science, which resulted to the production of drugs like Proton Pump Inhibitors (PPIs) and H2 blockers that are effective in eradicating the organism. However, due to an overzealous desire to defeat the helicobacter pylori, these drugs later developed to become too potent for comfort, resulting to various side effects. Herbal remedies – The use of herbs dates back to ancient history. Old folks especially in remote localities often rely in the use of herbal medicines. Medical science maintains that they have yet to discover the effectiveness and adverse effects that it can bring to the modern environment. Common herbal remedies include liquorice, aloe Vera, bladder wrack or slippery elm. Surgery – The decision to go under the knife relies on your doctor’s evaluation and diagnosis of the reflux disorder involved. In a recent advisory, the medical community expressed preference in the use of PPIs because of safety issues. However, if the diagnosis calls for surgery, the method recommended is through anti reflux surgery, which is a minimally invasive procedure (MIP) requiring minor incisions. However, the procedure is not without side effects and the most common of these are: infection, reactions to anaesthesia, and difficulty in swallowing. Lifestyle change and diet – The impropriety of these two factors are often the causes of acid reflux leading to indigestion. In a certain survey made, people exposed to a fast-paced environment are often susceptible to acid reflux. To avoid stress conditions that could lead to occurrences of reflux, indulging in hobbies or mind meditation like yoga is highly recommended. With regards to diet, eating fast, large meals, fatty foods, citrus foods, alcoholic beverages, and tomato-based products are factors that should be eliminated in a GER sufferer’s diet. Correcting the habit of lying down after a heavy meal can also prevent indigestion from taking place. Acid Reflux and indigestion is often mistaken as one and the same. Both disorder stem from too much acid production but differ in several ways. The main difference lies in the manner by which acid was prompted to cause disorder. Indigestion and its acid irregularity may lead to acid reflux but the latter will not develop any further into indigestion. Acid reflux and digestion can be further differentiated by simply defining the inherent characteristics of the two disorders. Acid reflux, also known as Gastroesophageal Reflux Disease (GERD) is the result of eating too much and not providing the stomach enough gravitational pull to hold the food down. Hence, the acid in the stomach regurgitates upward and gets trapped in the esophagus. Indigestion, on the other hand, is a result of eating too many and too fast. The rapidity by which the stomach is filled with food promotes the production of too much acid which can cause the heartburn or chest pain. The chest pain is a result of being unable to pass air through the mouth or what we commonly known as belching. Once we are able to pass air by belching, the chest pain discomfort of indigestion becomes relieved. If not, we can then resort to taking in antacids. In acid reflux, the trapped acid in the esophagus causes the burning sensation in the mid-chest, at the back of the breast bone and in the middle of the abdomen. One may even experience dry cough, difficulty swallowing and symptoms of asthma. Smoking, having hernia, being overweight and other intestinal problems may cause acid reflux or heartburn. Furthermore, acid reflux if it often occurs and improperly treated may lead to cancer of the esophagus. The cancer disorder is life threatening hence, the need for proper medication should be addressed. On the other hand, indigestion or medically known as dyspepsia which is mainly caused by over-eating at a rapid pace causes the digestive system to work double-time. Hence, too much acid is produced but remains in the stomach as it tries hard to dissolve all the food stored. Discomforts will come in the form of chest pains, gassy episodes and shoulder pains due to the trapped gasses which you couldn’t manage to release by simply burping. These conditions in indigestion can lead to acid reflux heartburn. Acid reflux as a form of a disorder is medically declared as incurable. Intakes of antacid merely provide temporary relief but the persistence of your poor diet and improper lifestyle promotes recurrence. If bouts of heartburn or chest pains persist despite the intake of antacids, chances are the sufferer is on the verge of a heart attack. Immediate medical attention is therefore a must. If acid reflux becomes a constant occurrence during and after every meal, the esophagus is highly threatened of being eroded by the constant presence of acid in its lining. The treatment therefore now requires a more intent and complex form of medication with the possibility of surgery as a last resort. Indigestion, on the other hand, can be cured by simple antacids. If no immediate relief is achieved, the doctor may prescribe an antacid that has stronger dosage or composition. However, if both of these remedies do not provide relief from chest pains, your indigestion or dyspepsia may have already developed into an acid reflux disorder. In which case, proper medical attention is now called for as the chest pains may also indicate more than just an acid reflux disorder. Persistence in chest pains despite intakes of antacid may indicate the onset of a heart attack. The efficiency of the treatments in both acid reflux and indigestion can only be achieved if the foremost requirement of changing your diet and your lifestyle takes place. Heartburn is a burning sensation that is caused by the acidic reaction in the body from the stomach. This may occur every after eating. Herbal approach is one of the angles that are usually look by the experts in the resolving the pain caused by the heartburn. This is because, there are people who do not want to take lots of chemical drugs due to in induces some hearing complication and the like effect. Thus, herbal medicines are now the trend of the people who wants have a reliever for the pain that they feel from the burning sensation of the acid indigestion. Few to none are what expected to have as you take your herbal medicines. That is why most of the people tend to shift their medicine selection from chemical drug to herbal one. The herbal approach in dealing with the burning sensation of the chest is done very simple to follow. This is through the use of the methods like selection of foods to you should eat, with a provision that it must be raw foods or lightly cooked foods which retain its nutrients and induce relief from the heartburn. One of the nature’s ways of curing and giving relief from heartburn is through the use of the Herbal Antacids. What the herbal antacids is somewhat neutralizes the acids in excess in a person’s stomach also on its intestine. Some of these herbal Antacids are the cinnamon, ginger, Aniseed and cardamom. The most commonly used herbal antacids are in the name of cinnamon. Cinnamon is one of the common chef’s ingredient in cooking that is known to have the properties to act as an reliever for the pain that cause by the heartburn. What the cinnamon do is that is work as of digestion regulator that helps the digestion to normally work at its best. With such medical properties, the burning sensation in the chest that cause of too much acid in the stomach will somehow reduce because as the digestion works in the body properly, the excess acids that are not anymore needed by the body is being eliminated. On the other hand, like the cinnamon which regulates the food digestion, the other herbal antacids also act this way. Thus further reduction of the acid will turn the burning sensation off. Another thought for better effectiveness of these reliever, the herbal antacid, this could be combined with each other and other substance that supplement the good effect of the herbal antacids like cinnamon and honey milk combined together in the form of tea or other liquid substance which tends to be more effective for inducing relief from the other stomach related pain aside from heartburn. Introducing the Umeboshi Plum is another diversified nature’s way of healing the burning sensation in the body. What does it do is that it act as an eliminating machine in the body which eliminates toxic acids that are present in the body. That’s not all, the capabilities of the Umeboshi Plum. It can also act as relieve from headache, vomiting, colds, flu and other illnesses. And did you know that this plum can prevent the occurrence of the acid fermentation of most sauces which are actually good. 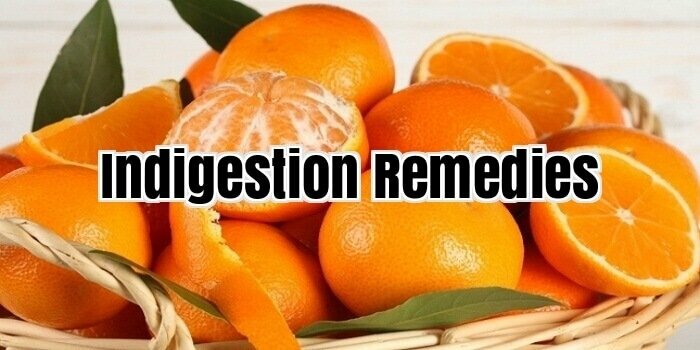 It is not unusual for most people today to feel the symptoms of acid indigestion – there is nothing unusual anymore about getting stomach upsets and heartburns especially with the fast-paced and often unregimented lives people today live. People do not normally see any reason to be concerned about their gastrointestinal discomfort unless the pain is intense enough to prevent them from performing their daily duties. The usual reaction to gastric pain is normally to take an antacid, an antispasmodic, an H2 blocker, a prokinetic, or a proton pump inhibitor. Medical studies, however, have shown that these drugs and medications only provide temporary relief of symptoms and could have side effects when used for prolonged periods of time. Not only should these patients be concerned about these side effects, they should also be concerned about the acid wastes that could build up and wreck havoc on the entire body. Ignoring the symptoms of acid indigestion or simply resorting to drugs for temporary relief would not solve gastrointestinal problems. Acid indigestion is caused by an overflow of acids in the stomach and esophagus from food that is not properly digested – studies show that today’s food choices are highly acidic and are difficult to digest. Someone who has acid indigestion usually feels pain in the upper abdomen and the chest area as the excess stomach acids irritate the stomach lining and the esophageal lining. The acid that flows back into the esophageal tube also causes a sour or bitter taste in the throat and the back of the mouth after eating. Some of the other physical manifestations of acid indigestion include bloating, burping and belching, feeling of fullness all the time, loss of appetite, and in more serious cases, blood in the vomit or urine. A natural alternative to the array of gastric pain drugs and medication for relief from symptoms of acid indigestion is to restore the acid-alkaline balance of the body through mineral supplementation – the body needs to maintain its acid-alkaline ratio in order to function properly and effectively resist diseases not limited to those that are gastrointestinal in nature. Alkalizing minerals contained in formulations like Alkalete help patients neutralize the acids in the food that they eat so that it is easily digested and its nutrients properly absorbed into the body. Taking Alkalete capsules in between healthy meals helps in the controlling the acids in the body to bring it to the ideal pH balance levels. There are also Alkalete granules that could be sprinkled on highly acidic food choices like coffee, wine, beef, and dairy to reduce acidity without altering the taste of these foods. A free 2-week trial of Alkalete can be found here. Don’t spend another day with the pain of acid reflux. Put those antacids down. The Reflux Elimination System can also help fight the pains of acid reflux and acid indigestion.